-ONE- I finally found some new Christmas jams for Conor. 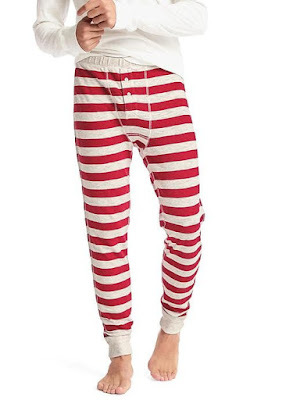 These striped lounge jogger pants are perfect; throw a henley on top, and you're cozy & festive! -TWO- Hot cocoa post snow play is a standard in our house. Our mugs are huge though! So I love these little festive ones that are perfect for tiny hands (they have an adult size too). I bought one for both boys; although, Finn has yet to discover the joys of hot chocolate, so just marshmallows for him! -THREE- How cute is this snowman stacker?! Finn would love it, and it would be adorable as a decoration of sorts in their playroom. Perhaps our elf, Tinsel, needs to bring this. Or maybe a stocking stuffer. TGIF friends! Hope all your weekends are full of plenty of cheer! The sneak peek is perfect! Love pictures at the tree farm!!!! :) And we have that snowman stacker, too cute! 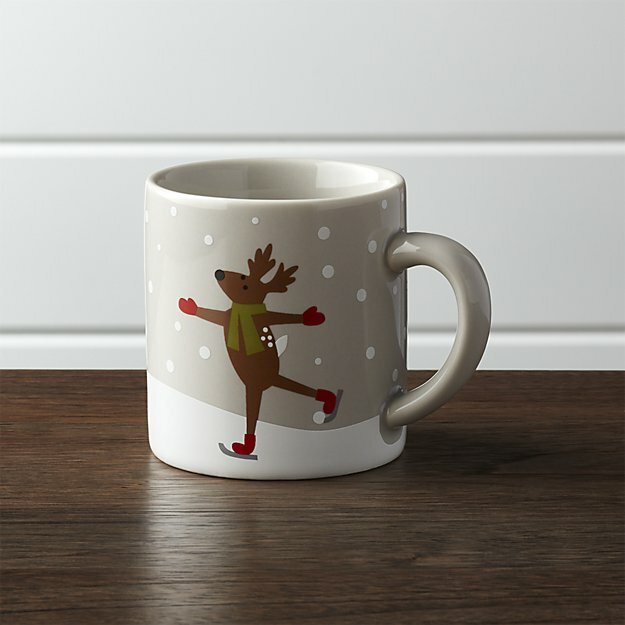 I just got my boys tiny snowman mugs for hot chocolate today! I've been eyeing them for a while and was finally alone at target to get them! Those sheets are so cute! They seem pretty perfect for Liam! Can't wait to see your card- I just ordered ours this week! What a handsome boy!!! Thanks for the pajama recommendation! I am struggling because Cam is between toddler and boy and boy pajamas are so not little-boy-cute! LOVE THESE! Can't wait to see more of your family pictures! And that little snowman stacker is so cute--a toy decoration! Im in a search for flannel sheets for the girls! Not too impressed with the ones Ive seen in stores this year, which is a disappointment. Love that snowman stacker! 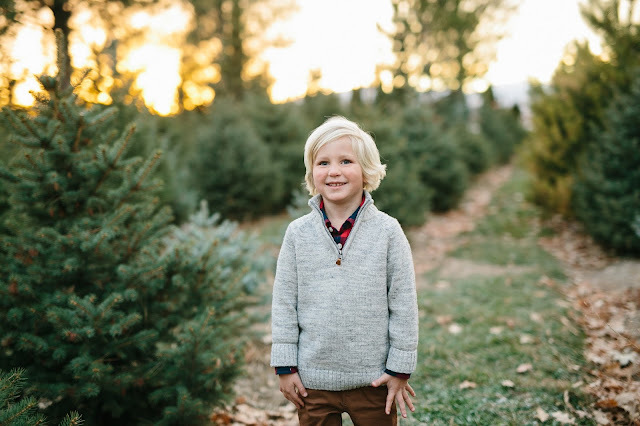 Looking forward to those Christmas tree farm pictures. Can't wait to see the rest of the photos, you always have the best family pics! And the flannel sheets are perfection! All so cute! I love flannel sheets! And I love the sneak peak from your session. So cute! Liam looks so grown up in that photo! Maybe it's the hair? Really, where is time going? Love those jams for Conor -- Keith will not wear long johns. He is strictly a baggy sweats guy. That picture of Liam is adorable!!! 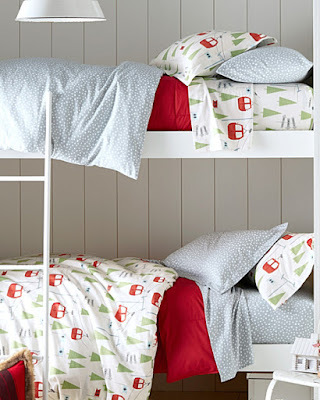 And holy cow are those sheets so super cute. I've been on the hunt for small mugs for Abigail too. Those ones are great! Those gondola sheets!!! I never bought Mason any Christmas sheets, so those might just have to make their way home to us! DATE NIGHT!! We have one coming up in two weeks and I'm beside myself with excitement. We have that snowman stacker and it's a massive hit with both kids. Julia likes to gnaw on the pieces and Marcus likes to try and shoot the stackable pieces off the dowel (if that makes sense). Though we don't have any snow it's been getting chilly (for us) in the afternoons and hot cocoa has been a staple. A smaller mug would be perfection rounding out our evening fun! Ummm your sneak peek is such a teaser. Can't wait to see more. Emmy loves hot, err warm chocolate, but Cam not so much. He isn't much of a chocolate lover like me, but Emmy is. Your festive holiday game is definitely going strong! We've enjoyed the bits of snow we've gotten, but those mountain views sure add to the beauty of it all! I hope you guys had the best time at the Christmas party! I love the picture you shared on IG. You looked so beautiful. Those striped jogger pants are perfect! I am going to grab some for Nate. Thanks for sharing. And I am swooning over that sneak peek! I cant wait to see more!! That mug it so cute! I've never even thought to look for a smaller one for Emerson to use. Also, those sheets are amazing! If only I had a reason/excuse to get them! ...maybe next year? ;) And your sneak peek! Your pictures are always amazing, so I know the rest of them will be too!